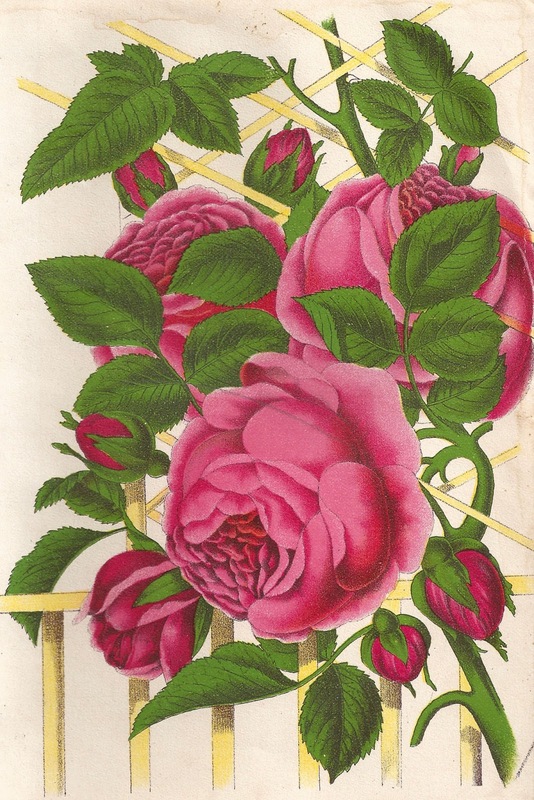 This is a lovely vintage pink rose illustration of a Queen of Prairies Rose. I love the deep, rich pink! This is from an 1870's seed catalog. The page is a little distressed, but I think it adds to the charm of the image. I hope you enjoy!